Had wanted to investigate Noi Lucky for some time already, but was a little hesitant given the restaurant is rarely full of patrons. Decided to try my luck one Sunday for lunch and my only regret was not having eaten there sooner. 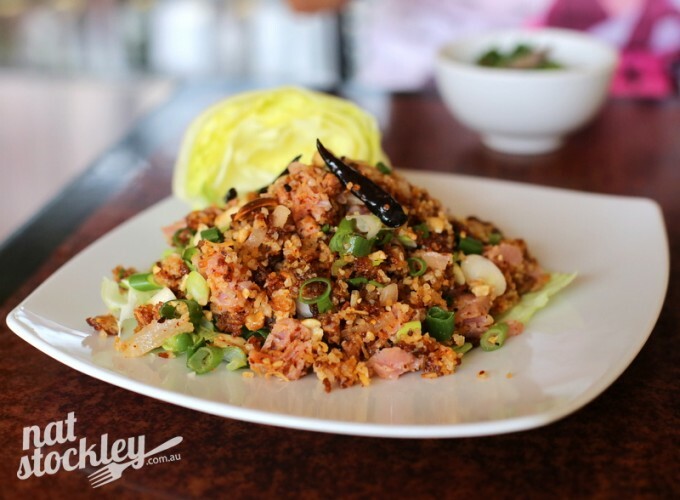 The menu mixes Lao & Thai dishes so many of the items will look quite familiar if you stick to the Thai territory. 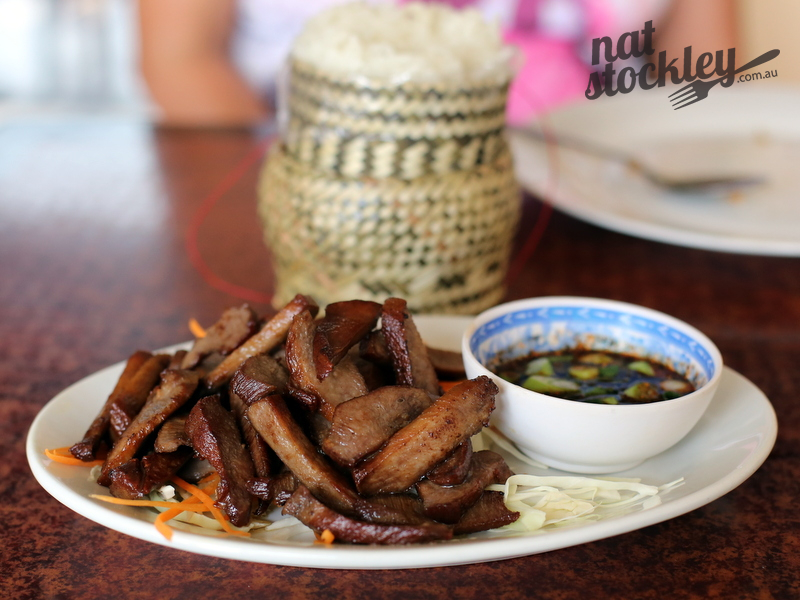 I was keen to sample some Lao specialties, so ordered the Nam Khao (Lao crispy rice salad with fermented pork), the Grilled Ox Tongue and Om (a traditional Lao stew with beef, vegetables, chilli, galangal and lemongrass). 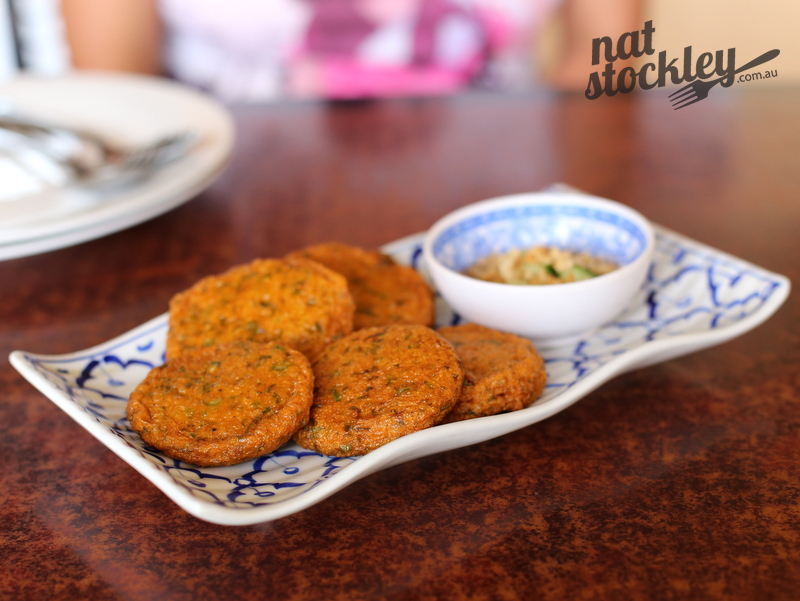 All the dishes were really tasty, generous servings and very reasonably priced. I particularly loved the Lao crispy rice salad with the fermented pork. 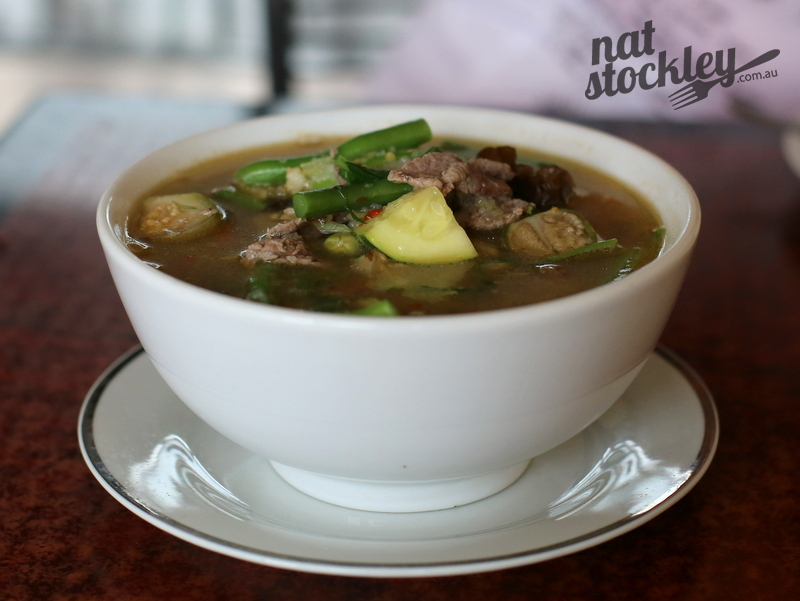 If you find yourself in the area, I recommend you give “Noi Lucky” a visit and make a concerted effort to order some of the Laotian specialties.